Diane Purkiss. 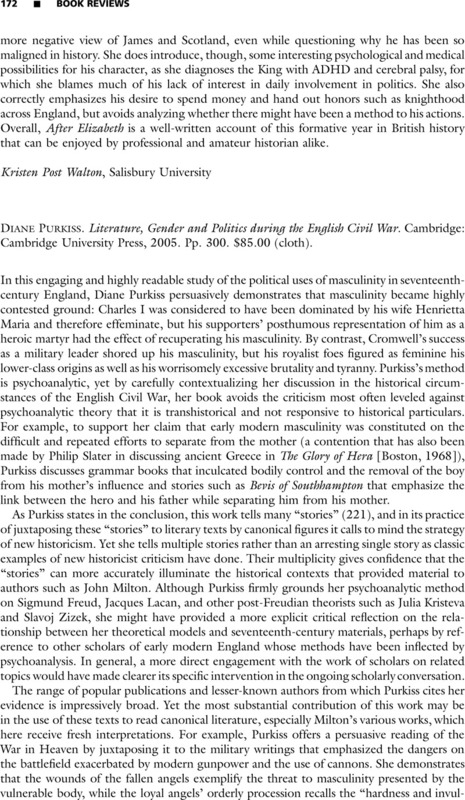 Literature, Gender and Politics during the English Civil War. Cambridge: Cambridge University Press, 2005. Pp. 300. $85.00 (cloth).